It's not often you can look back at a decision you made as an 18-year old kid and say it's one of the best things you've done in your life. Joining the Reserves back in 1986 seemed like something I'd try for a year or 2, whilst deciding what direction my career would take. I looked around several local units before deciding which to join, but I couldn't have imagined the opportunities that would come my way as a result of becoming a Reservist. Like all new recruits I had to learn the ropes in the early days. I went through basic training and picked up several military trades. Then I started to take part in the array of exercises that build up your experience and expose you to a myriad of different situations. Most of my training took place in the UK, but I also travelled around Europe and as far afield as Kenya and the USA - all whilst balancing my day job and later on, my family. The skills I learned included building bridges, using explosives and, of course, all the core soldiering stuff like firing a rifle and reading a map. I also worked closely with the Royal Marines, so I was able to add amphibious landings from Royal Navy ships and cold weather warfare training in Norway to my growing list of experiences. The Armed Forces develop their leaders from within, so it wasn't long before promotion brought the first of a series of stripes. Leading teams and instructing across a number of subject areas helped build my confidence and leadership style. Lots of exposure to the ‘people bit’ really helped sharpen softer skills, such as communicating, negotiating and influencing. Fast forward 28 years and I am still as excited about being a Reservist as the day I joined. Stepping up from Warrant Officer to Captain was an honour I never anticipated, and the commissioning course at Sandhurst remains a career highlight. This has also meant I’ve been able to influence people a lot more widely for the good of our reservists, and really adds to the difference I’ve been able to make. Of the work I've done, the operation in the Gulf in early 2003 stands out as an enduring memory. 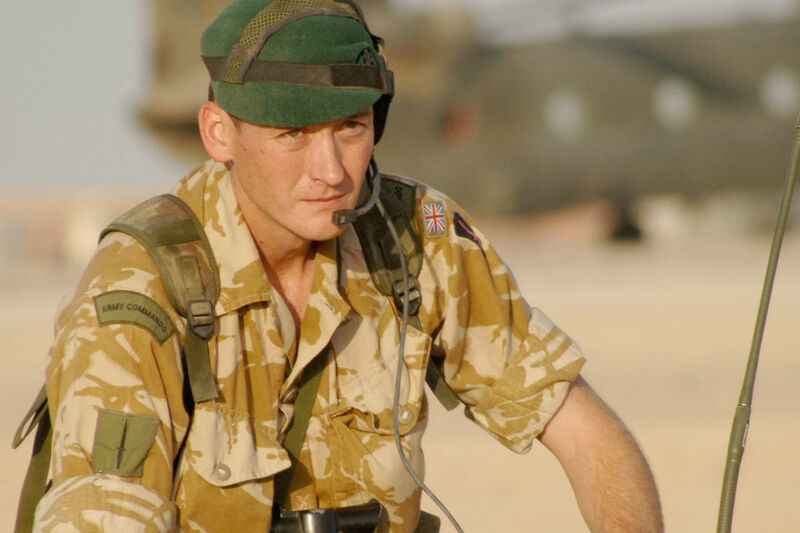 Taking a team of Reservists I had helped train out to Kuwait and then into Iraq, planning their part in the operation, and seeing them perform so effectively and cheerfully under such challenging conditions was something I'll always cherish. I've given quite a lot of time to Reserves if you add it all up, but I've gained a lot in return. The Reserve Forces is a massive network of people with a wide range of backgrounds and interests, and I've made the best of friends right across the country. It’s also an area where your individual contribution can make a huge difference; perhaps, for the average person, more so than in almost any other field. And having spent two thirds of my career in private industry, I've even got jobs through connections I’ve made in the Reserves. My biggest single takeaway has been the breadth of perspective I've gained through the people, places and experiences that have formed my world as a Reservist. And would I do it all again? Of course! To find out more surprising facts about the Reserves and how it would benefit you and your teams, come along to The Reserves Experience at a location near Whitehall on January 28th and 29th. Register for a ticket now. being part of the reserve forces was one of the best things I’ve done since leaving regular forces, I could never have dreamed of having the opportunity to jump into Normandy and Arnhem this year for the 70th Commemoration, like I always say, you only get out what you put in! Yes, I've been very lucky indeed to work with people like yourself. Speaking the other night to one of the friends I worked closely with in Iraq, and who has had a successful career in the City, he said joining our unit was the best thing he has ever done, other than marrying his wife. A very happy Christmas to you and all the best for 2015. Clearly Olaf has gained a great deal personally as a Reservist, and no doubt much of what he has learnt is of value in his Civil Service work. However I wish to say out that no negative aspects of life as a Reservist have been pointed out. 1. You may have to kill someone or seriously injure them. At the very least you will be supporting people who do that. 2. You may be killed or suffer a life changing injury, or suffer from post traumatic stress disorder. There has been a significant lack of resource given by the state to assist those brave people who have been sacrificed to further the interests of the state. If this were not so then there would be little need for the sterling work done by such charities as “Help for Heroes”. 3. If you are mobilised I don’t think that you could drop out of the mission if you disagreed with the action which the Army had been instructed to take by its political masters. 4. The legacy of the Army’s involvement in Iraq and Afghanistan, and the loss of life suffered both by the Army itself and many thousands more non-combatant civilians are abhorrent to me and many others. 5. As the Regular Army contracts and the Army Reserve expands, you are likelier to be mobilised. 6. I am very grateful that the Army is involved in humanitarian missions, disaster relief and peacekeeping (though there is the caveat of “mission creep”). However as far as I know a Reservist couldn’t apply to be a Reservist for those roles alone. As we contemplate the centenary of the ultimate folly that was the Great War I feel that our efforts should be directed towards peaceful ends. By all means let us have the capacity to be able to defend ourselves. 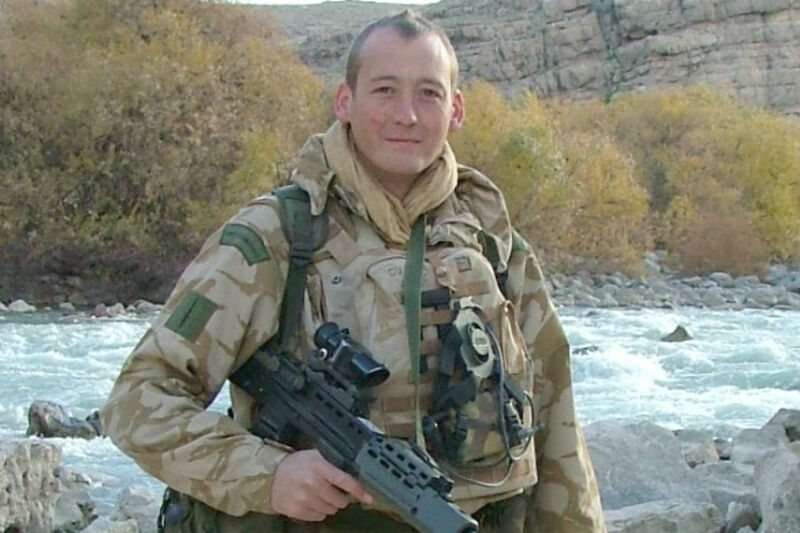 Sadly recent history teaches us that the Army has been used as a political tool for offence rather than defence, and its foreign adventures have contributed to the rise in terrorism, which has made the lives of all of us feel less safe. There is no doubting the dedication and courage of the typical soldier, but I fear that those qualities have been cynically used to foster geopolitical ends. So if you are thinking of joining, do your homework first, and reflect on the thousands of deaths (mainly civilian) which armed intervention by UK forces have caused in the recent past. And consider whose interests you are actually serving. Is it the State? Or is it the vested interests in oil and armaments? My comments are in no way a criticism of Olaf as an individual, or a disparagement of his achievements. However I do have an issue that there are negative aspects to the Reserves which I feel have not been pointed out. It seems that there is a Civil Service wide drive to encourage people to join the Reserves. In my agency APHA we have had two similarly positive reports by Reservists since the summer. Could this be related to the disappointing number of 20 recruits which I learn from the press have been recruited despite a £2 million campaign? The Shadow Defence Secretary Vernon Coaker is quoted as saying that the figure is "shocking" and that "It's clear that these plans are failing". As this blog has been sent around the whole Civil Service, as far as I know, I do honestly feel that balance is required when items of this nature are circulated. A really interesting read Olaf. The Remembrance Day two minute silence starting at 11.00 am when the guns of war fell silent is contrasted sharply by a little over three hundred months later from that point in 1918. To the second, much more powerful nuclear ( atomic ) bomb, delivered in anger, exploding low in the skies above the city of Nagasaki, Japan at a time of 11.02 am, three days after the smaller, first atomic strike on Hiroshima, on the 6 August 1945. The article by Olaf does not truly convey the horror and devastation of war, in particular now with the advent of military battlefield ( atomic ) & also very long range strategic nuclear weapons. Dr Robert Oppenheimer of the Manhattan Project at the end of World War 2, made an off the cuff comment to a journalist: " if you ask can we make them more terrible ? The answer is yes. If you ask can we make them terribly more terrible, the answer is probably. A better way is though communication and diplomacy, a military option is not something to be undertaken lightly, even some of the scientists were alarmed at what they had created. There are a wide range of roles wihtin the Reserves as other, linked articles point out such as humanitarian assistance and stabilisation work. This requires planning, judgement, assumptions-challenging and other skills, not necessarily kinetic skills and drills. In my own role in the tri-Service Military Stabilisation Support Group, yes, I was conducting 'hot stabilisation' but this was bringing much needed support to fragile and failing local governance structures. It also provided an opportunity to work with deployed civilians from OGDs mainly DfID, but also others. And helping provide capacity-building to fragile States must itself be morally worthwhile if nothing else, so that disaster-struck communities and their families can benefit from short-term interventions, to, as it were, learn to fish themselves.